Carole Kariuki holds a Bachelor of Arts Degree in Economics and Sociology from the University of Nairobi and a Masters Degree in Public Administration and International Affairs from Bowling Green State University, Ohio, USA. She has also pursued several professional courses on Public-Private Sector Dialogue, Global Leadership and Private Sector Development among others. Ms. Kariuki has a wealth of experience in leadership having worked for Barclays Bank of Kenya, Nairobi Chapel and Sagamore Institute for Public Policy Research, Indianapolis – Indiana, where she acted as a liaison between Kenya Private Sector Alliance (KEPSA) and the institute before formally joining KEPSA. 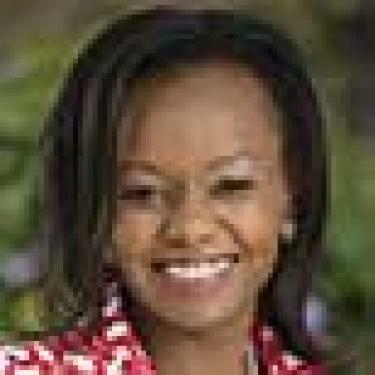 She worked for several years at KEPSA before being appointed KEPSA CEO. Ms. Kariuki is credited for transforming KEPSA from a little known Business Institution to one of the most influential institutions in Kenya and Globally. KEPSA is the Apex body of the private sector in Kenya, galvanizing the private sector through public-private dialogue and influencing the economic and development agenda of the country and Africa. She serves and has served in several task forces including the Presidential Task Force on Parastatals Sector Reforms in 2013. She is a member of several professional bodies including, The Rotary Club of Langata, Kenya Institute of Management and Institute of Directors. In 2012 she was voted ‘Extraordinary Personality to Inspire the Future’ by 80% of the 20,000 students of the Entrepreneurship Clubs of Kenyan Universities. She is also the first Senior Fellow at ISOKO, which is an institute based in Indianapolis that promotes private enterprise in Africa.